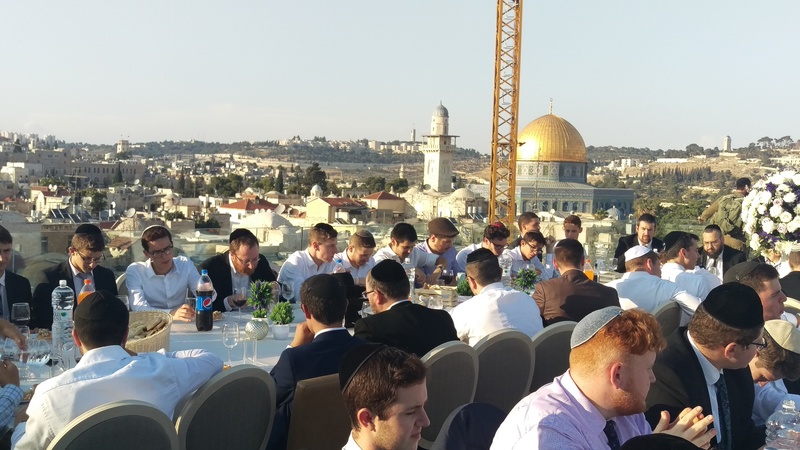 Mazel Tov to Alumnus Avi Fast on his Wedding! 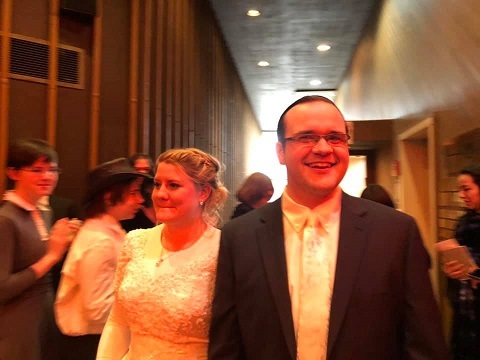 Mazel Tov to Avi Fast (5774) on his marriage to Mira Bradley. May you be zoche to a Bayis Neeman Biyisrael together! 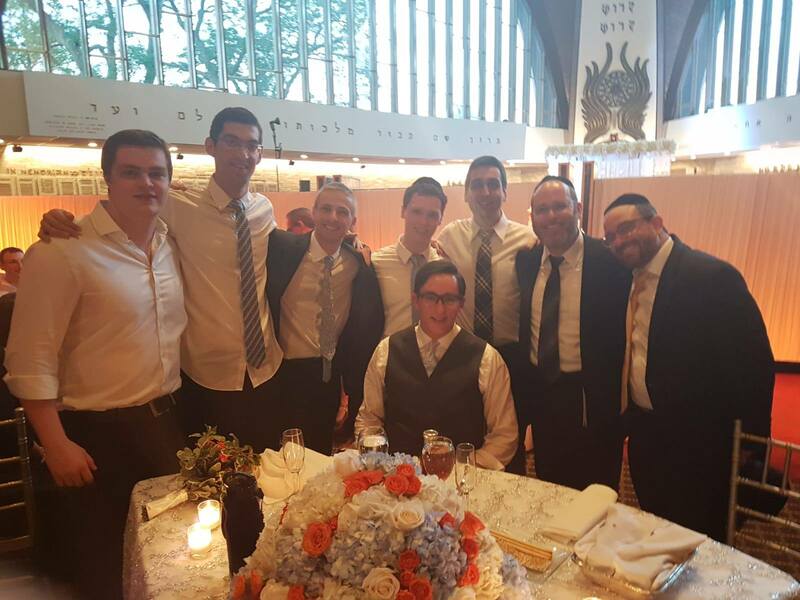 Mazel Tov To Alumnus Avi Meyer on his Wedding! Mazel Tov Avi Meyer (5776) on his marriage to Rivky Geller! 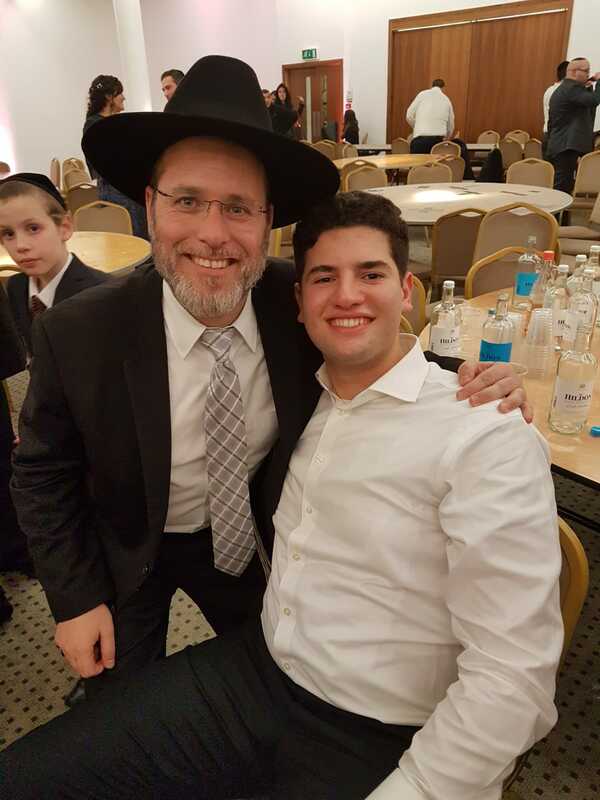 Rabbi Rosman and Rabbi Hershman had a great time seeing the alumni bringing Ruach to the wedding in London! May you be zoche to a Bayis Neeman Biyisrael! 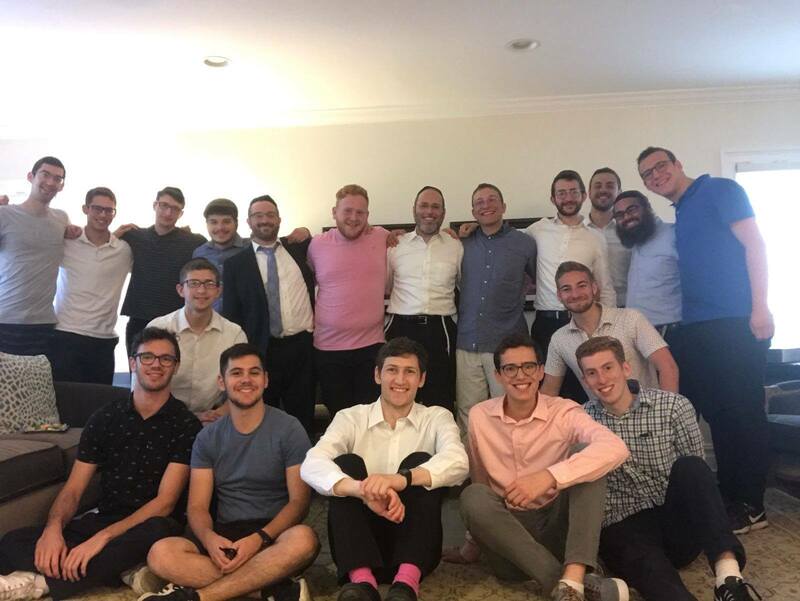 Mazel Tov to Mayer Fink (5777) on his siyum! 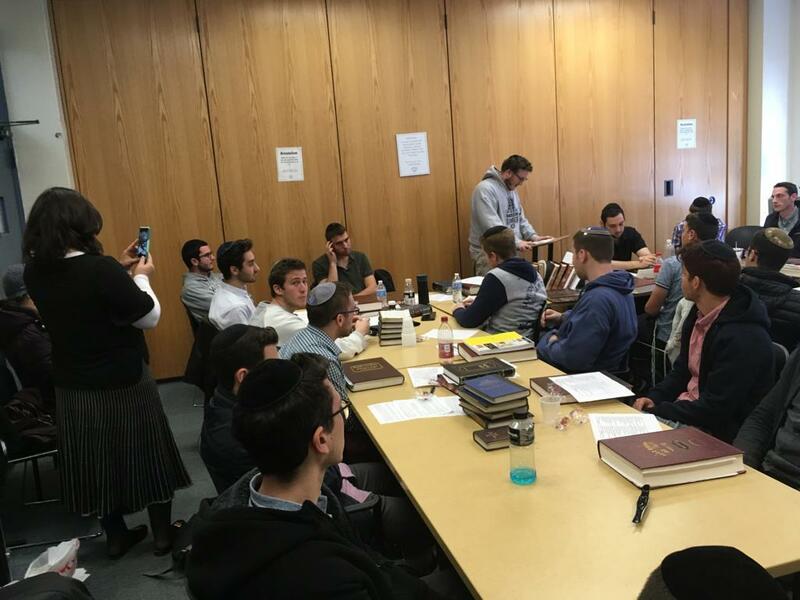 Mazel Tov to Mayer Fink (5777) on his siyum on Seder Nezikin! May you merit to make many more! Well done! 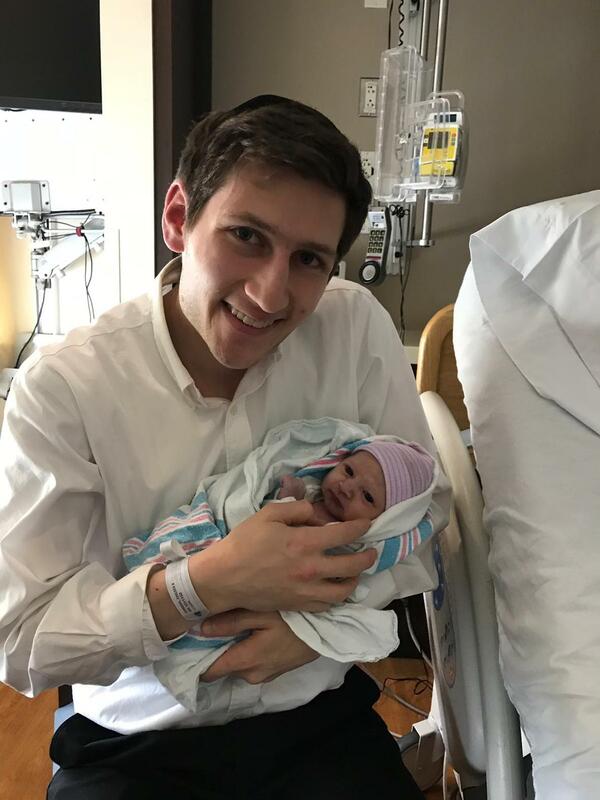 Mazel Tov to Bradley and Chelsea Goldmeier (5774) on the birth of a son. May you merit to raise him to Torah, Chuppah and Ma’asim Tovim! Rabbi Rosman, Rabbi Rosen and Rabbi Miller were present for a beautiful Gesher alumni reunion in NY. 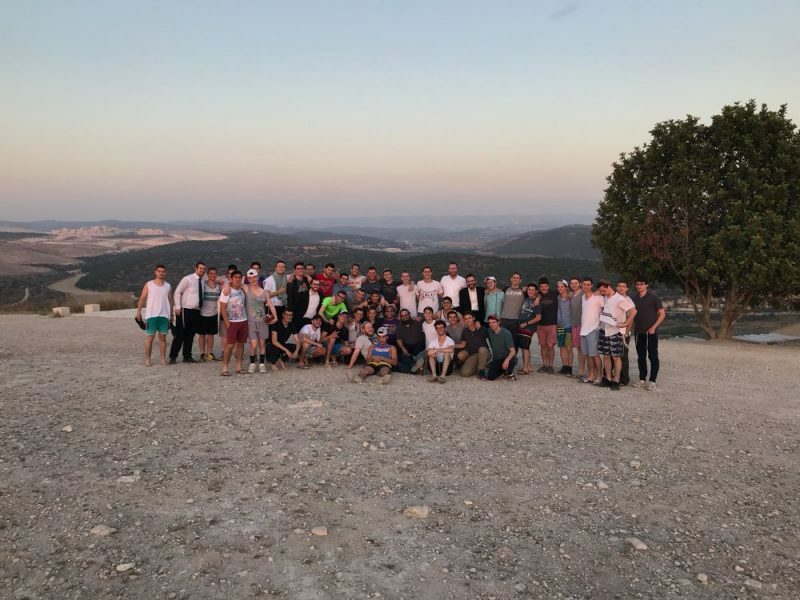 Alumni spanning Gesher’s 6 incredible years and numerous states and even countries came together to reminisce and reconnect. Thank you to everyone who joined us. We are looking forward to holding many of these in the future. Mazel tov to Binyamin Wallin (Gesher 5775) on his marriage to Sheryl Green. May you build a bayis ne’eman b’yisrael together. 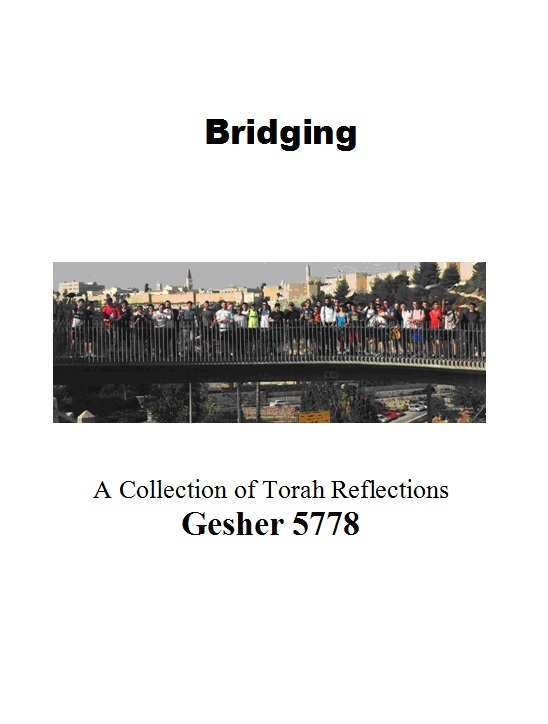 Gesher talmidim wrote about the most impactful idea or thought they heard this year and explained to their friends what was meaningful about it and their year as a whole – ‘Bridging’ the gap between Yeshiva and the next step in life. 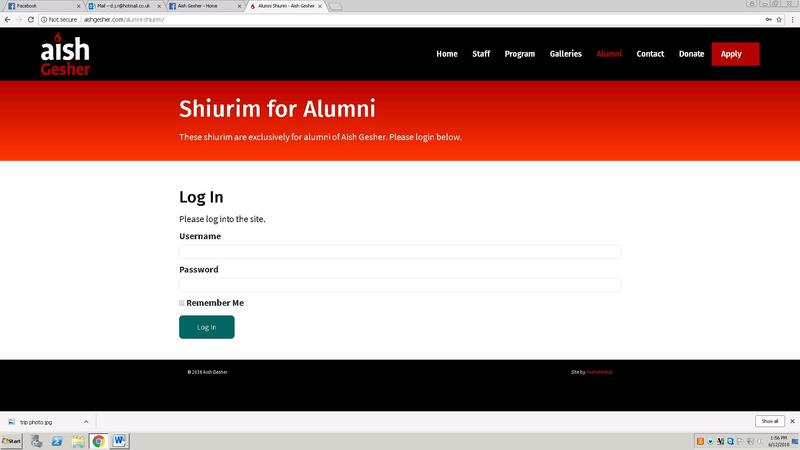 All entries were printed together in a journal and given to every talmid.